Today is Good Friday. It s the day that we remember and enter into the death of Jesus, longing for the power and hope of the paschal mystery which culminates Easter morn with an empty tomb. As a follower of Jesus, I cling to the cross and the hope of the empty tomb. This week, Jeff Chu’s book “Does Jesus Really Love Me?” came out. It includes a chapter about me and my story — including my sin, my failure, my fall from ministry. It has been an ongoing journey for me since all that happened. To be honest, it doesn’t seem like 4 years ago… it seems just like yesterday. If I am not careful, I can still allow those events to define me. To be clear, they don’t. But remembering that is something else. Jeff interviewed me for the book over two years ago. At that point, I was two years removed from what had happened. What Jeff gets is a snapshot of where I was at that time. I was in a good place two years ago. The crisis had past, I had connected with a great church in Hartford, I was clear about my identity in Christ and how my sexual orientation impacted that. I had moved on from counseling and was now regularly seeing a spiritual director. My relationship with Christ was strong, intimate, growing, vibrant. But the wounds were still very raw. I still wrestled with what it meant to be gay and Christian. Very few relationships from the church had been repaired. I was healing, but the wounds were just beginning to scab over — still raw, still sensitive, and still painful when they got bumped. Two years later… and four years after what happened… I am in a very different — and better — place. I honestly feel that many relationships have been restored. While I have not been back to the church for a service, I have been back in the building, seen some of the changes, etc. I have been able to help them with some things and, have to say, there is no one more excited and optimistic about what God is doing in that community of faith than I am. I am also increasingly comfortable with who I am — and increasingly uncomfortable with my own sin. This is a good thing. As I mature in Christ, I am increasingly aware of how my sins of omission so often are greater than my sins of commission. I struggle to love my enemies. I talk a good game about loving the poor, the least, the lost — but struggle to translate that into practical acts of service. I am still more comfortable serving on a Board, raising money and writing polices to help the homeless and under-resourced, than I am sitting over a meal and sharing fellowship together. I am quick to judge and rarely extend the same grace to others that I desire for myself. My thoughts tend towards the useless and the profane too often. Some would say that these are no big deal. Maybe. But as Ignatius teaches in his spiritual exercises, as we follow Jesus as His disciples, we should become both more aware and disturbed by our sin, brokenness. An examination of conscience. But, I also feel more free, joyful, centered and in love with Jesus every day. I have learned that hiding and pretending leads to spiritual death. As does indulging every desire, longing, lust or whim. The Way of Life — the Way of Jesus — is found on neither path. Abundant life is found in intimacy with our Savior. And that intimacy sets us free to be real, authentic, transparent. So not only have I experienced great reconciliation with people, and with Christ — but also, and perhaps as importantly, with self. Jesus loves me, this I know. But now I also love myself and can see myself through the eyes of my creator. And all of this is (only) possible by the power of the cross of Jesus. Friday is Good Indeed! 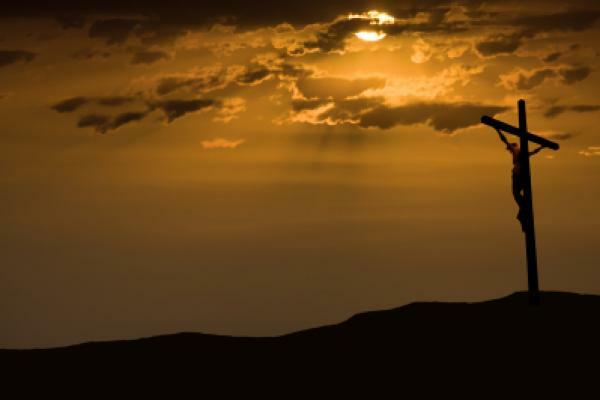 And we know, on this side of history, that while it is Friday, Sunday is coming… and has already come… for HE IS RISEN AND ALIVE!